Read about their latest news and progress in the updates that they have provided. To promote kids’ participation in sports and leisure activities, Holland Bloorview Kids Rehabilitation Hospital hosted their second annual summer SPORTFit camp for children with cerebral palsy (CP) aged 8-14. The camp provided intensive gross motor skill development, cardiovascular exercise, and knowledge around participation in community sports and leisure activities. Exercise is not always fun and this can be particularly true for children with mobility impairments but exergames—video games that require the use of physical activity— can help with this challenge. By using a customized stationary racer bike, the Liberi Exergame, campers had fun breaking a sweat while researchers collected data that will help them make the exergames suitable for children of all abilities promoting an all-round inclusive experience. The camp has received support from the Milos Raonic Foundation—Raonic visited Holland Bloorview where he played against some of the campers on the exergames. CP-NET recently launched a priority setting survey based on a previous Australian study. The survey allowed individuals with cerebral palsy and their families and other stakeholders to rank research questions that they think CP-NET researchers should focus on in the program’s next phase. In July, CP-NET researchers, Drs. Cindi Morshead and Michael Fehlings, participated in an OBI public talk held in partnership with the Ontario Institute for Regenerative Medicine. Stem Cells: the Hope and the Hype provided a realistic view of what stem cell research holds now and in the future. The talk drew a crowd of about 400 people many of which engaged in the open discussion moderated by the Editor of Motherboard at VICE Canada, Kate Lunau. In October, CP-NET hosted its 3rd annual Science and Family Day in celebration of World Cerebral Palsy Day. 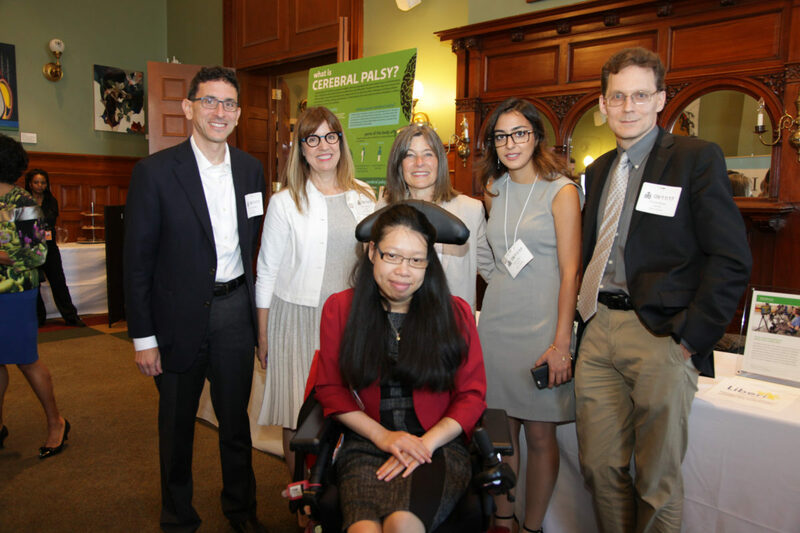 The theme was focused on wellbeing and wellness with approximately 100 attendees made up of individuals with CP and their families and doctors. Lucy Lach and Cole Galloway as keynote speakers. The day also included an open house of community organizations to allow families to connect, network, and learn more about resources in the community. The CP-NET team unveiled a new video displaying the uniqueness of the CP-NET research program. 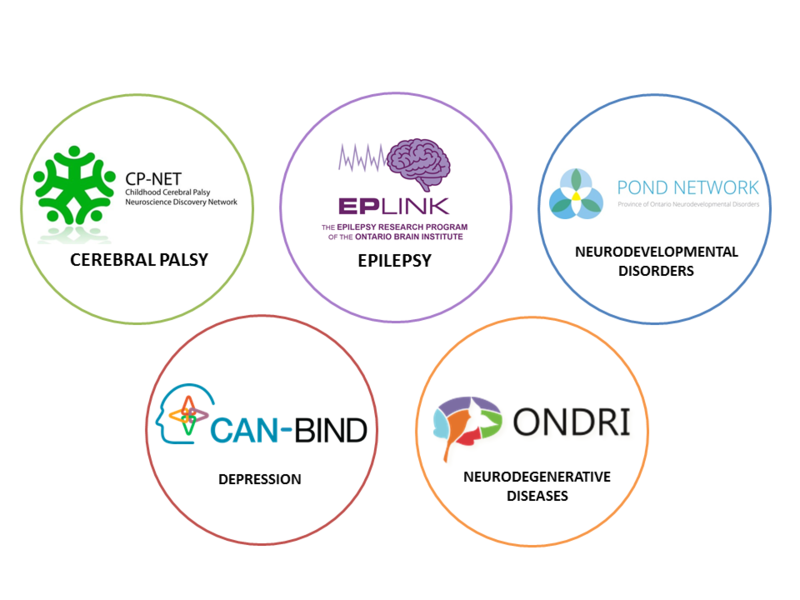 This spring, EpLink released its Research Priorities Survey to find out what kind of research is important to the epilepsy community. Those surveyed include: people with epilepsy, families, caregivers and community epilepsy agency representatives. The survey was created with input from EpLink’s Non-Profit Advisory Committee, including suggestions about the layout, content of the questions and its release. 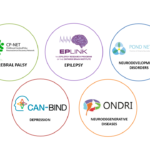 The committee – as well as additional community epilepsy agencies across Ontario – were also key in helping EpLink to share this survey and engage their clients to complete it. After collecting around 150 responses, EpLink has made the results public. This initiative is essential for incorporating the community’s voice into EpLink’s future research, which will ultimately allow innovations and research advances made by EpLink to have a direct clinical impact. This fall, Epilepsy Ontario announced that they will provide funding for an EpLink study that will investigate the link between traumatic brain injury (TBI) and epilepsy, since it has long been known that people who have had a TBI are more likely to develop epilepsy in the subsequent years. Dr. Jorge Burneo, the Co-Director of EpLink, has been investigating the possible reasons for this. With this additional funding, Dr. Burneo and his team will focus on how often brain injury leads to epilepsy, what types of injury are most likely to cause epilepsy, and whether early treatment can prevent the onset of seizures after a TBI. This October, EpLink hosted the First Annual Brain Benefit: Shaken Not Stirred Gala at One King West Hotel in Toronto. The James Bond-themed event featured a martini cocktail reception, a gourmet 3-course meal, spy-themed table challenges and a silent auction, all in support of research and services for people living with epilepsy. Researchers know that further understanding of the molecular basis of dementia can lead to earlier diagnosis and the eventual development of effective treatments. Genetics is an important risk factor for neurodegenerative disorders since approximately 5–10% of cases of neurodegenerative disorders can be attributed to several genes. However, researchers believe it’s likely that cases of neurodegenerative disorders caused by genetics are chronically underestimated. One of the reasons for this is that genetic testing is not universally recommended for the diagnosis and care of individuals with neurodegenerative disorders. Neurologists who choose to use genetic testing may only screen for a small subset of genes so results are limited while the cost of the procedure remains very high (up to $38,000/patient). OBI researchers have discovered a fast and cost effective way to sequence many types of genes across five different neurodegenerative disorders. Compared to some of the standard gene sequencing methods, at about $340/sample, the ONDRI method cuts costs by 50-99%. If genetic screening proves to be an important route for early diagnosis of disorders like dementia, the new ONDRIseq technique could make it affordable to the healthcare system. ONDRI created its first newsletter for ONDRI participants and caregivers. Published quarterly, its goal is to share ONDRI news and progress to show appreciation to ONDRI participants and their support teams. Read the newsletter here. ONDRI and OBI hosted a tour as part of the Institute of Public Administration of Canada (IPAC) Annual Conference in June. The site tour provided IPAC delegates with a glimpse of service excellence in health care and the research happening in Ontario, particularly at Sunnybrook Health Sciences Centre and OBI. ONDRI was an exhibitor along with OBI at the Alzheimer’s Association International Conference (AAIC) in July. This was an opportunity for ONDRI to talk first-hand about ONDRI’s research. A special visit was paid by the Minister Responsible for Senior’s Affairs who wanted to know more about ONDRI’s research on dementia. The CAN-BIND Program aims to shorten the gap between depression diagnosis and getting the right treatment. There is currently no evidence-based method for personalized treatment of depression based on an individual’s unique biology and life experiences. By December, 2016, CAN-BIND’s first study, CAN-BIND-1, will be ready to analyze comprehensive data from 200 participants including clinical questionnaires, brain images, and molecular data from blood samples to discover insights into treatment response. Over 150 investigators, clinicians, students, technicians and staff involved in the study are eagerly awaiting these results. Understanding response to various types of depression treatments is crucial to identifying the right treatment for the right patient. This is why CAN-BIND also supports research on non-pharmacological treatments for depression like brain stimulation and cognitive-behavioural therapy (CBT). Repetitive transcranial magnetic stimulation (rTMS) is a non-invasive brain stimulation technique approved as a treatment for major depression. It involves stimulating specific areas of the brain with magnetic field pulses. When applied repeatedly, these pulses can strengthen or weaken the connections between neurons, known as synapses. The long-lasting changes in neural connections can achieve lasting changes in brain activity, reversing the abnormal patterns associated with depression. A new study led by Drs. Daniel Blumberger, Jonathan Downar, Jeff Daskalakis and Fidel Vila-Rodriguez is looking at another version of a brain stimulation treatment that can be delivered in short, three-minute bursts. If this type of treatment also proves effective at treating depression for some individuals, it would reduce side effects and treatment time and increase treatment capacity. Another new study led by Drs. Rudolf Uher and Lena Quilty will examine the use of CBT for the treatment of depression. CBT is a problem-focused and action-oriented form of psychotherapy that works to alter negative thought patterns by changing behaviour. The CAN-BIND program held a World Suicide Prevention Day event featuring a special performance of The Ties That Bind, created and performed by James Ince. The performance explored social perceptions of depression and suicide through a personal story of surviving mental illness. A remembrance reception and question and answer period followed the performance. The event drew over 80 attendees and was very well-received. In another new study, CAN-BIND researchers are also seeking to identify biological and behavioural risk factors for suicide in individuals with depression. This will help researchers determine what can predict suicide attempt and to identify potential new interventions. In September, CAN-BIND and OBI held the “Strengthening our Voice” community event in partnership with Whitefish River First Nation (WFRFN). The main goal of the event was to engage children, youth, and parents in discussions around self-care, health, and wellness in culturally appropriate ways. The event engaged the community in sessions focused on building self-esteem and resilience, managing relationships at home and at school, the benefits of a healthy active lifestyle, and support resources within the community, including spiritual healing. The CAN-BIND and OBI team worked closely with the WFRFN Health team to provide a variety of interactive activities including cultural teachings, artistic expression, as well as athletic activities including Ultimate Frisbee and jujitsu. These activities encouraged relationship building within the community and supported an environment of team-work and trust-building. The CAN-BIND program is grateful to WFRFN for the opportunity to work together to share and learn about health and wellness. POND researchers published a paper in the American Journal of Psychiatry featuring, for the first time, the program’s cross-disorder magnetic resonance imaging (MRI) work. The research demonstrates that children with autism and ADHD have greater white matter impairments than children with OCD. This highlights the growing potential to use techniques like brain imaging to diagnose brain disorders and even predict appropriate treatments. In July, POND held its annual Science Day. Over 100 researchers involved in POND came together to discuss and plan for future research within the program. Later this fall POND held its annual Family Day. The day brought out more than 250 parents and family members involved in the research program and provided an opportunity for researchers in the program to share their most recent findings while parents provided feedback and input. Members of POND’s Patient Advocacy Committee also shared their personal experiences as caregivers and research participants. If you missed the day, video footage can be viewed here. In September, OBI hosted a public talk: Autism—Different Thinking About Those Who Think Differently. Dr. Evdokia Anagnostou, the lead researcher of the POND program, shared some of her frontier-pushing research aimed at finding better treatments and therapies for people living with autism and other neurodevelopmental disorders. Mike Lake, a Member of Parliament and autism advocate, discussed how we can all help create a world where his son’s strengths and abilities—and those of millions of others—can be cultivated. André Picard, Public Health Reporter at the Globe and Mail, moderated the talk and engaged an audience of more than 600 people. The full video can be viewed here.